This volume combines contributions that discuss gender, sexuality, disability, religion, culture, ethnicity, and class as power-related, interwoven, and ambivalently connected dimensions. They analyze the interactions between structures, discourse formations, and subjective approaches in their complexity, synchronicity, and contradictions. 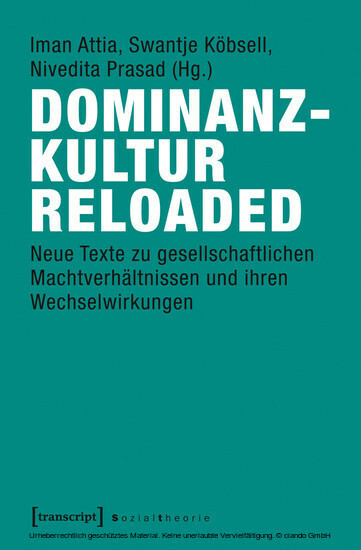 With contributions by Micha Brumlik, Theresia Degener, Sabine Hark, Nira Yuval-Davis, and others. Iman Attia (Dr. phil. ), Rassismus- und Migrationsforschung, Alice Salomon Hochschule Berlin. Swantje Köbsell (Dr. phil. ), Disability Studies, Alice Salomon Hochschule Berlin. Nivedita Prasad (Dr. phil. ), Lobby- und Menschenrechtsarbeit, Alice Salomon Hochschule Berlin.